This picture captures a scene at the end Not Dark Yet so well that this image could have been used as cover for the book. 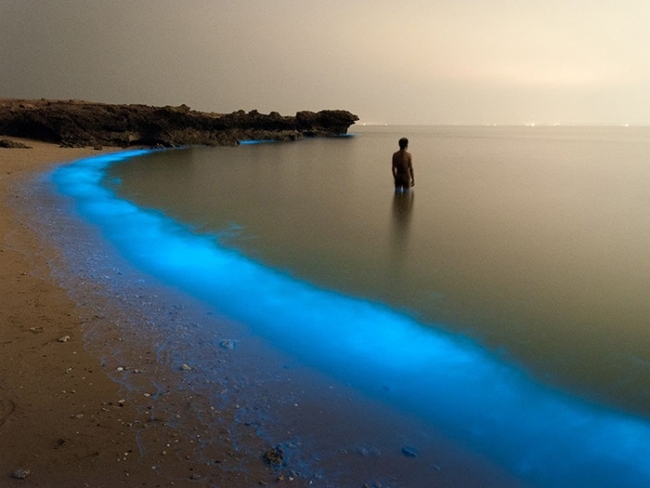 The glow in the water is bioluminescence caused by microscopic algae. They tend to bloom in the summer. Passing your hand through such faintly glowing water is a beautiful experience, and almost a little like watching the northern lights. Unfortunately I don’t know where this picture was taken, or who the photographer is.